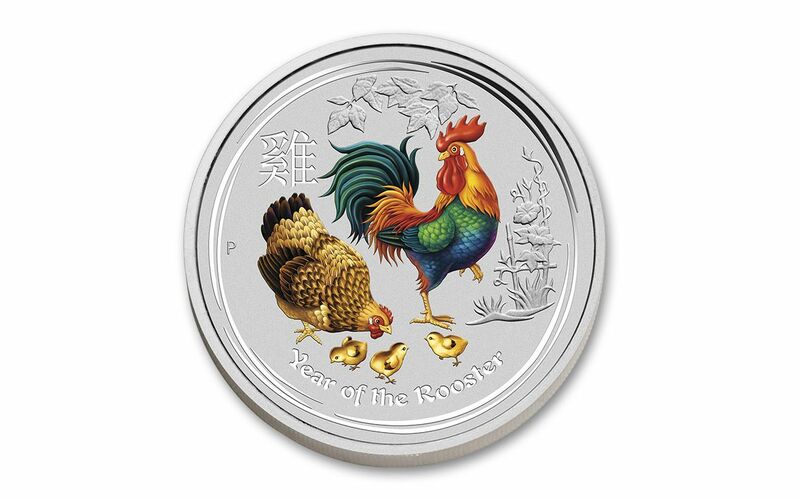 You'd be hard-pressed to find a Year of the Rooster collection as impressive as this one! 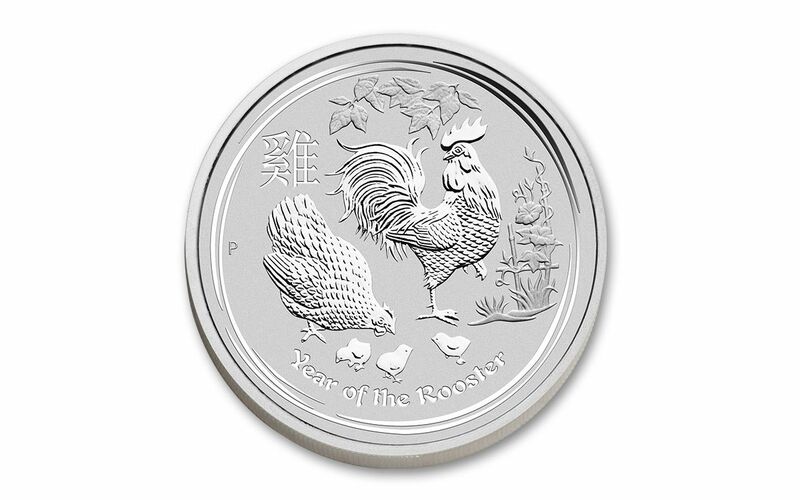 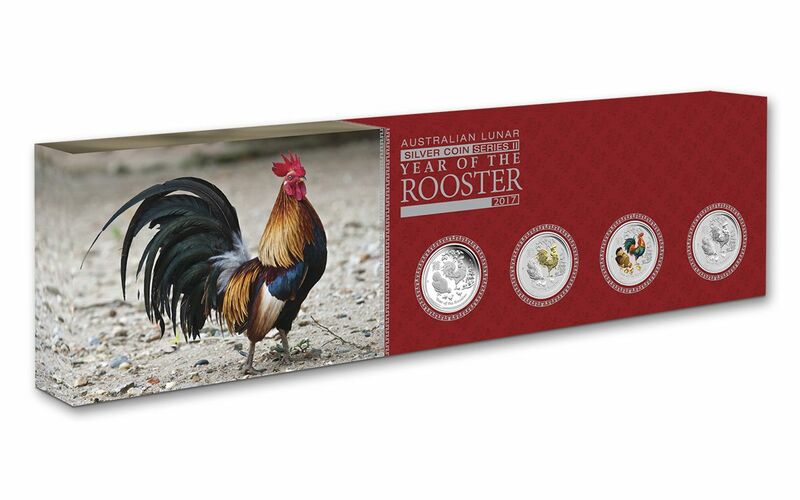 Each coin of this Four-Piece Type Set features The Perth Mint's 2017 Year of the Rooster design struck in a full ounce of 99.99% fine silver. 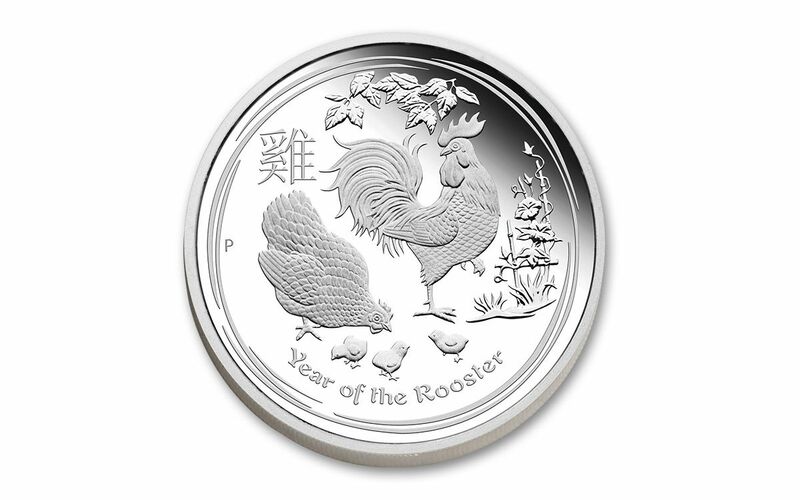 However, they're far from identical! Each coin in the set has a unique feature that makes it stand out—one is struck in mirror-like proof condition, one features a rooster gilded in 24-karat gold, one displays a colorized rooster, hen and chicks, and the final member of the set is a silver bullion version in striking Brilliant Uncirculated condition. 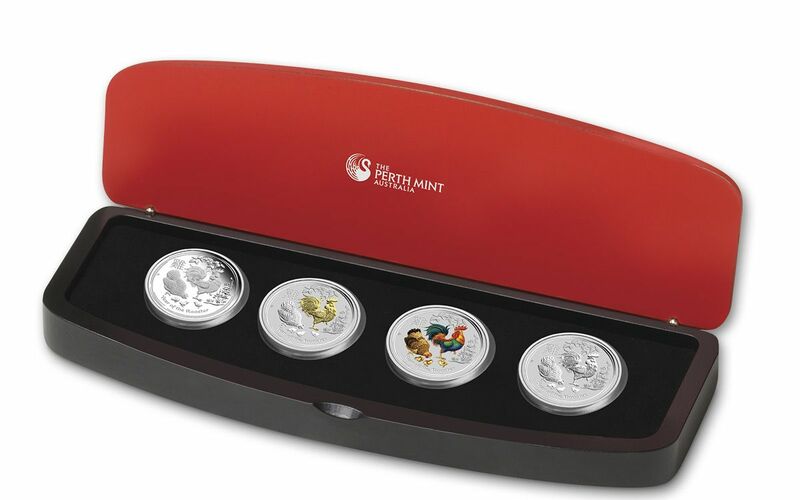 All four come together in a red and black display case with themed packaging. 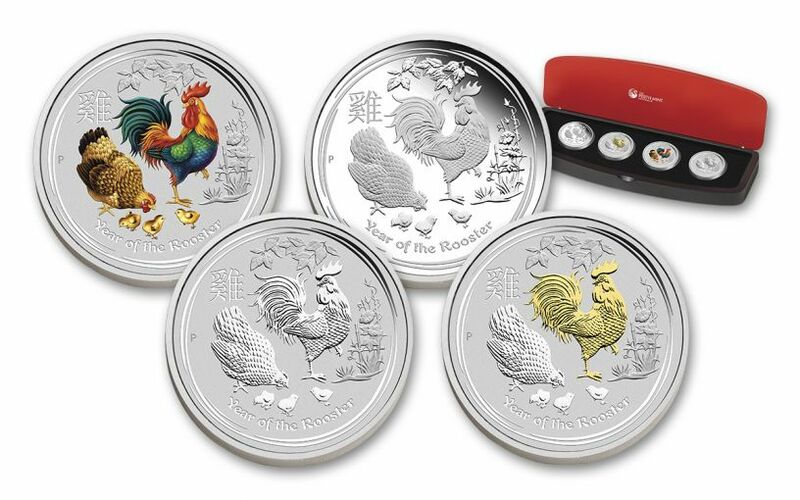 Don't wait to order -- only 1,500 of these sets exist!